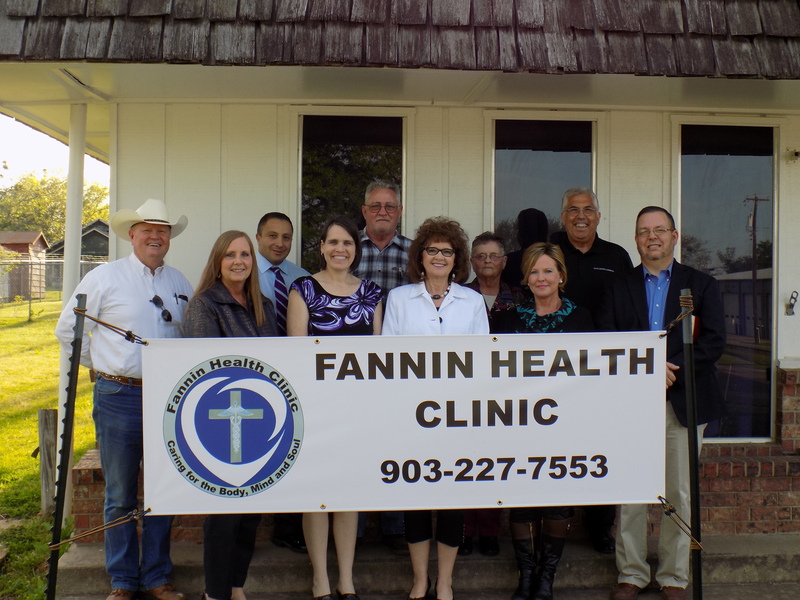 Fannin Health Clinic Board members at our open house on 4-7-2016. 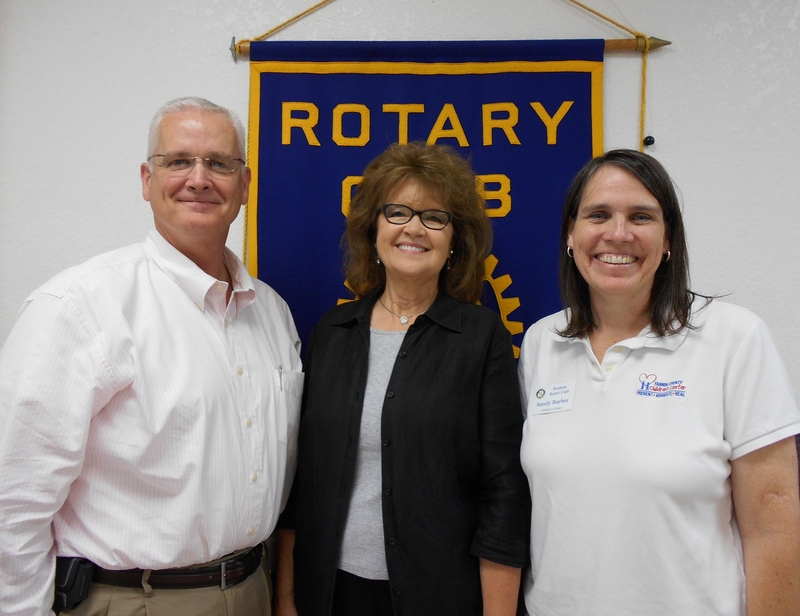 At the May 27, 2015 meeting of the Bonham Rotary Club, Deloris Clemons presented the program about a new project in Fannin County. After retiring from the VA Hospital, Deloris volunteered to head a project to create a free health clinic in Fannin County. This project is part of the Fannin Baptist Association under their Mission and Evangelism Team. She sought the help of Stephanie Strickland and they met with the team and agreed the need was there, and that they would take on the job. They recruited volunteers from across the county and built a board that consists of Administrator Deloris Clemons, Co-Administrator Stephanie Strickland, Sandy Barber, Randy Moore, Brenda Haggerty, Jim Glaser, Michael Evans, Charlotte Kearney, Mary Manning, F.B.A. Liaison Brian Everett, and Dr. Jerry Christopher who they report to. Jim Glaser offered is building in Ector and Dr. Diego Restrepo with Texoma Medical Center volunteered his services for the clinic. Their main goal is to help many people, especially children, in Fannin County who do not have health care. and later they hope to help the elderly with their medication expenses. All the doctors, nurses and clerical workers are volunteers. Deloris stated that they hope to open in the fall of 2015, possibly open one day a week. There are many ways assistance and volunteers are needed. The Bonham Rotary Club donated $1,000 to this worthy project and is applying for a matching grant from the district to hopefully gain another $1,000 for this effort. If you can help in this effort, contact Deloris Clemons at 903-227-4155. The Bonham Rotary Club meets every Wednesday at 12:00 noon at the Family Life Center.